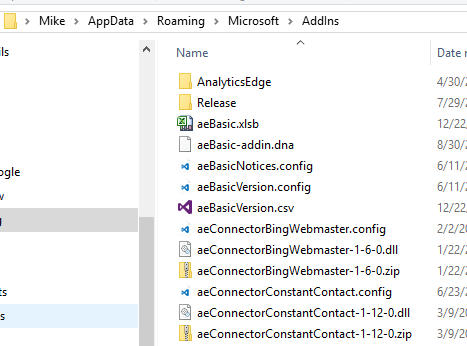 Analytics Edge connectors require the free Analytics Edge Basic Add-in , Standard Add-in, or the full-featured Core (Pro) Add-in to operate. The instructions below detail how to install, upgrade or uninstall connectors from any add-in. You can add a connector at any time. Anti-virus program preventing connector installation? See Manual Connector Installation below! 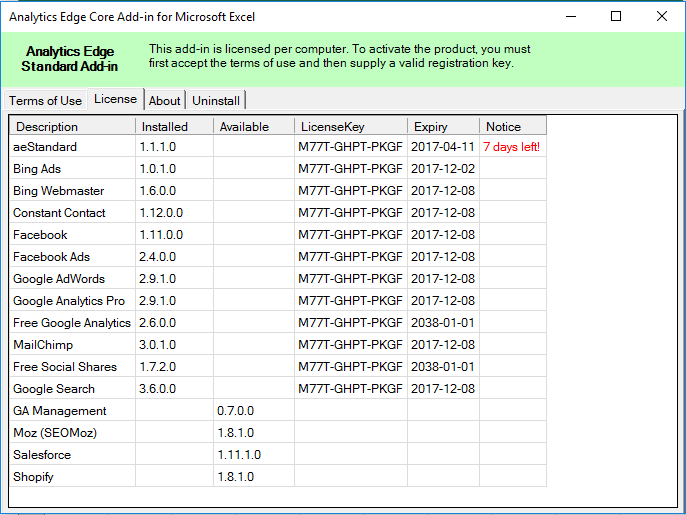 In all of the Analytics Edge Add-ins, all available connectors are listed in the License wizard. To open the License wizard, click the License button on the Analytics Edge ribbon in Excel. The License wizard may display a different image depending on the state of your installed licenses (e.g. “License UPDATE”, “License 7 days”, or simply “License”). 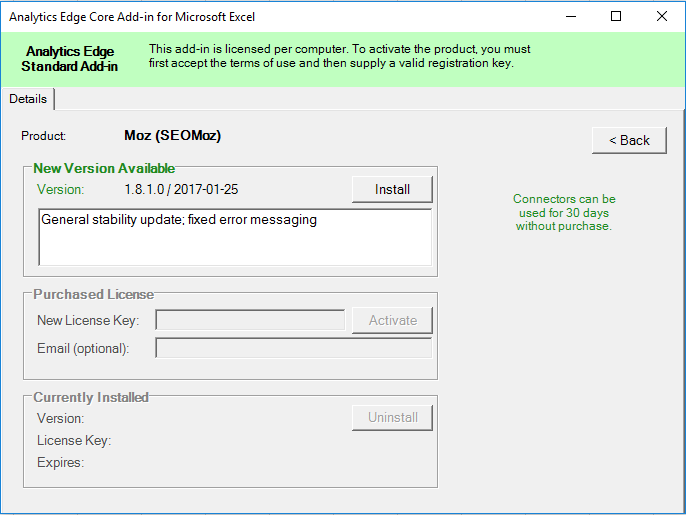 Once open, the License wizard will show a list of the currently installed and available connectors. If an upgrade is available, you will see both the version of the installed connector and the newest version available. To see details of a specific connector release, click the entry in the listing (any column). To install a new connector, or to upgrade an existing connector to a new release, click the entry to see a details tab. Click the Install button and then close and restart Excel to complete the installation. To remove a connector, open the License wizard and click the entry for the connector to be removed. 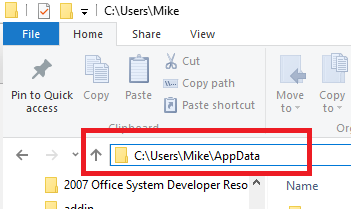 On the details tab, click the Uninstall button, then close and restart Excel for the change to take effect. When you start Excel, you will be asked to confirm whether you want all previous releases of that connector also removed.